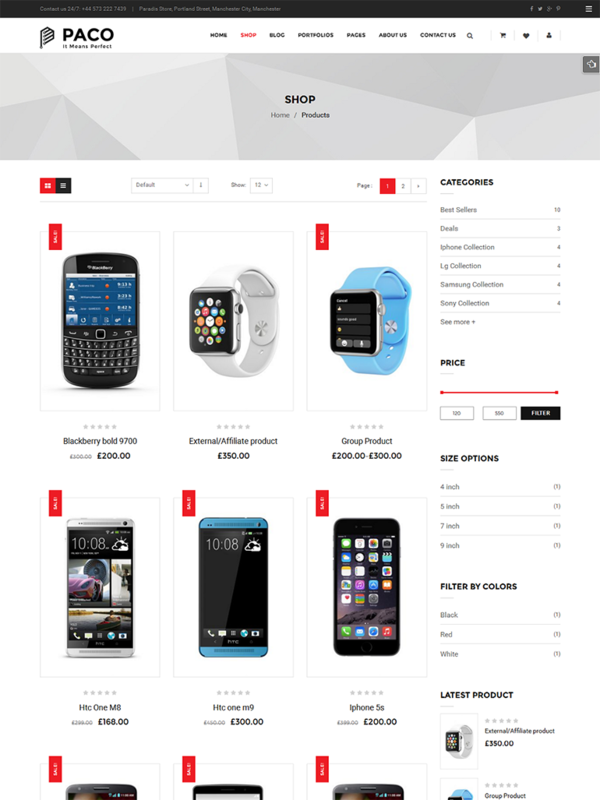 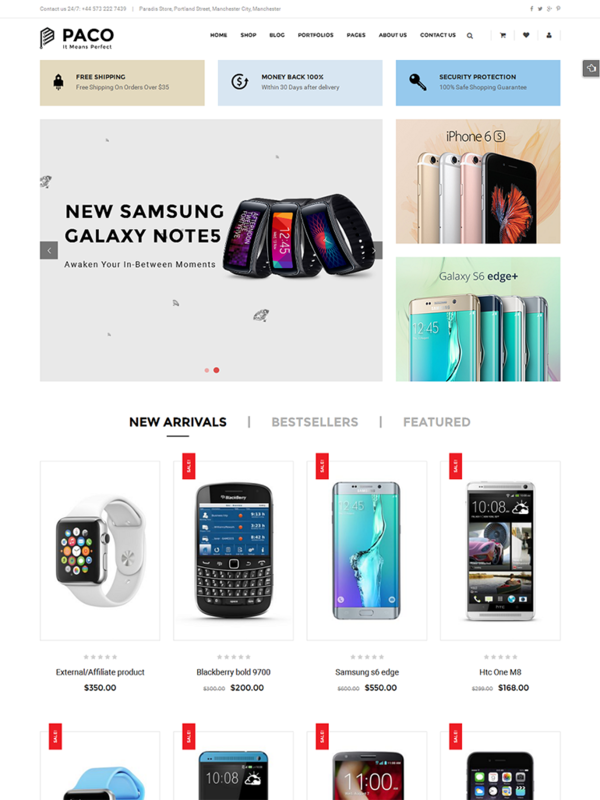 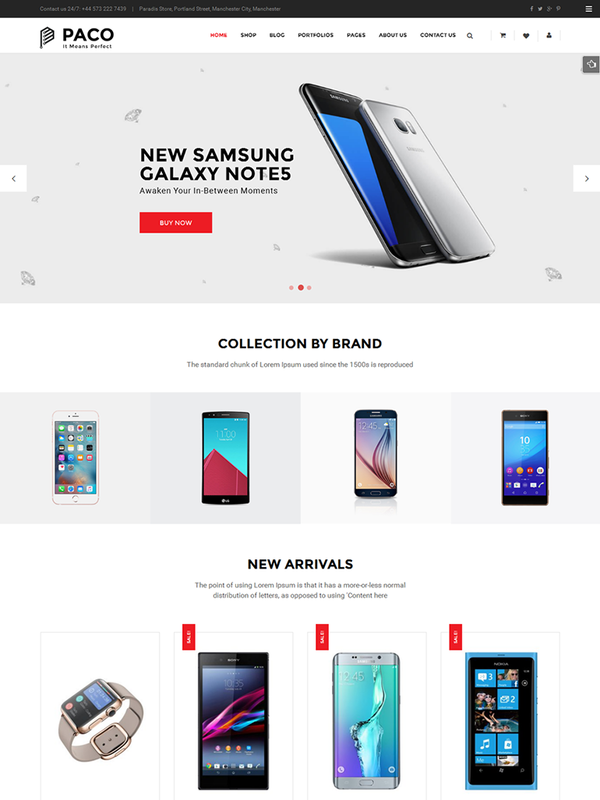 SW Paco is a responsive WooCommerce WordPress Theme with the modern; clean design. 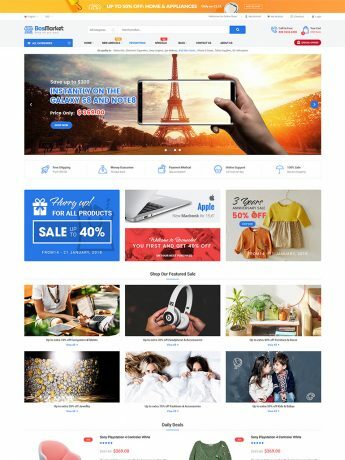 Definitely, it will bring the new experience for you by its solution for digital shop or any shopping stores. 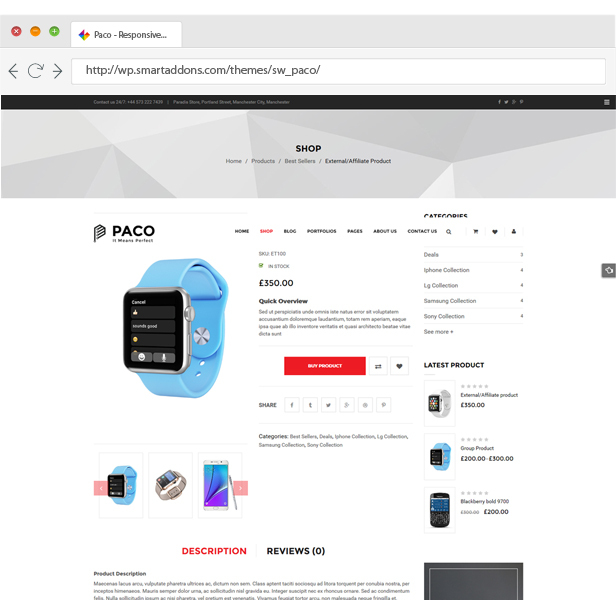 Furthermore, with 5 homepage layouts and 4 layout styles, Paco comes with a bundle of new powerful features which is rolled inside this theme. 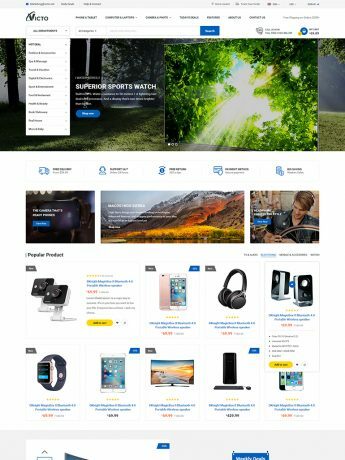 This responsive WordPress theme comes with well-structured homepage layouts that mixed up with lots of customizable widgets and shortcodes. 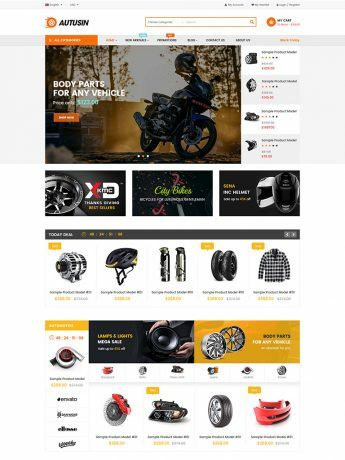 Besides, the theme is integrated with Visual Composer, Slider Revolution, Mailchimp for WP, WPML, SEO plugins and Demo One-click Installation. 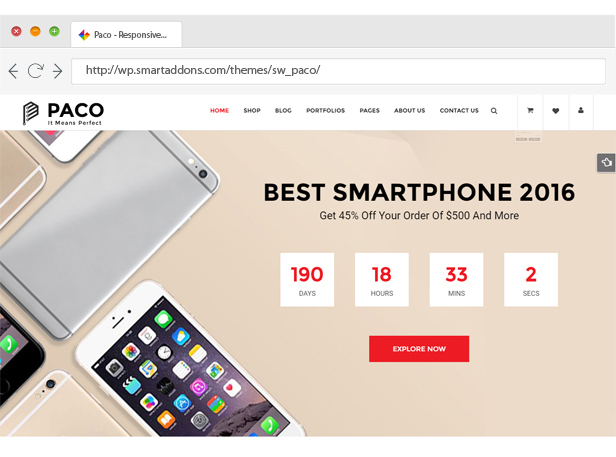 Therefore, SW Paco is incredibly easy to use for all users from general users to developers. 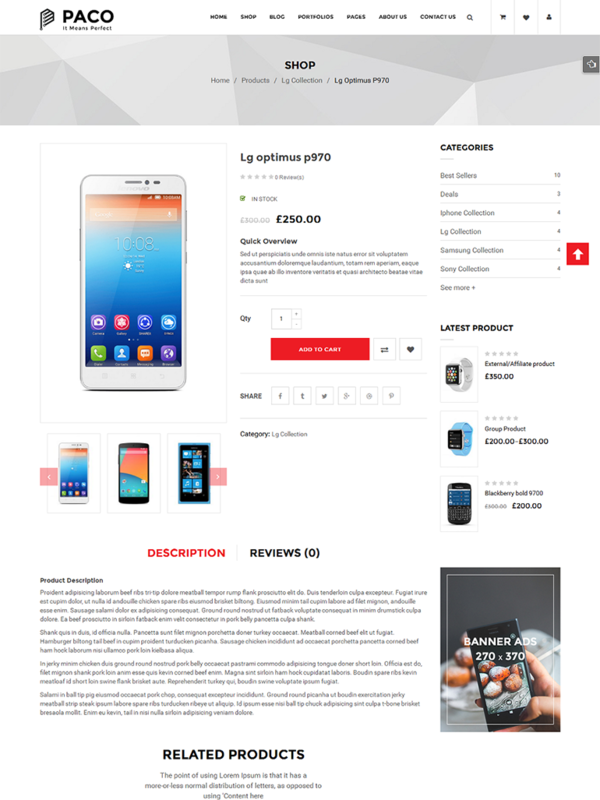 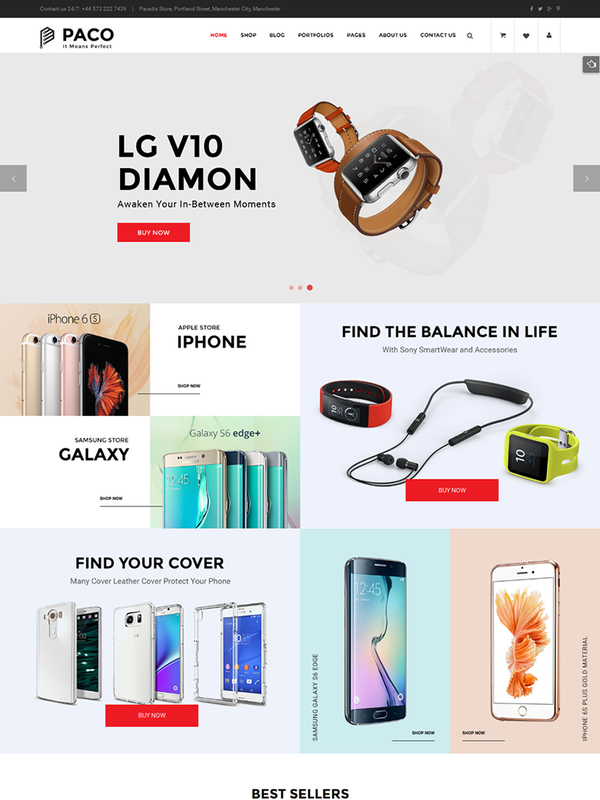 SW Paco is designed to be a fully responsive layout, it will make your site have amazing look on any devices. 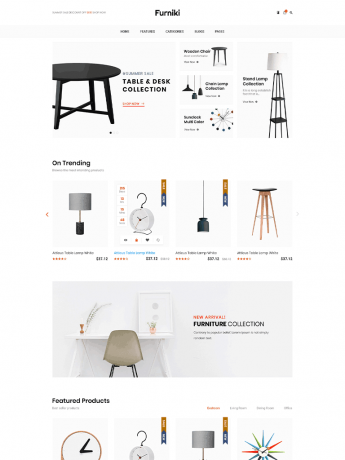 Whatever your style, build a homepage that works for you. 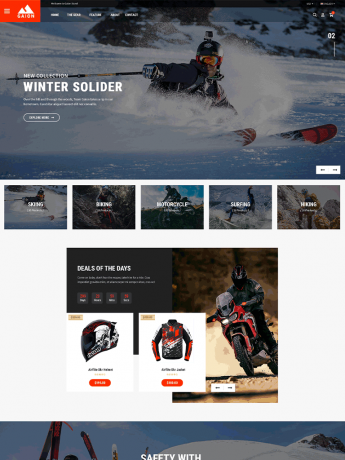 Choose a layout and color scheme, and customize the header with different images or sliders. 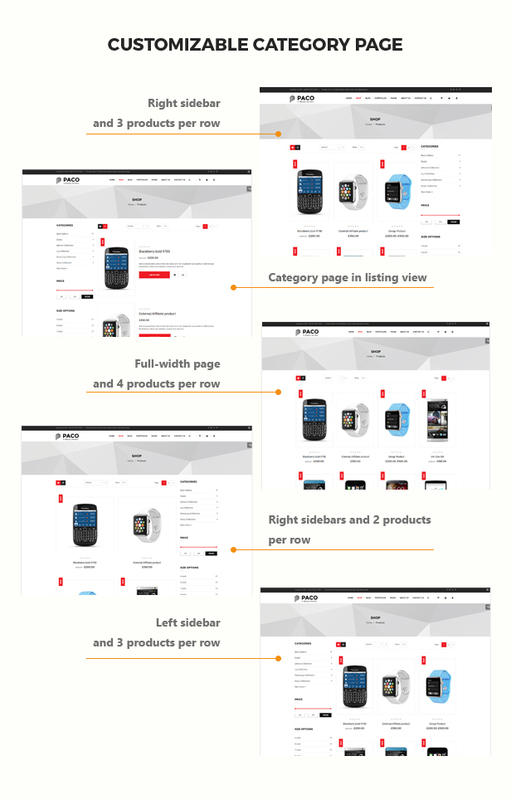 Paco supports various menu styles. 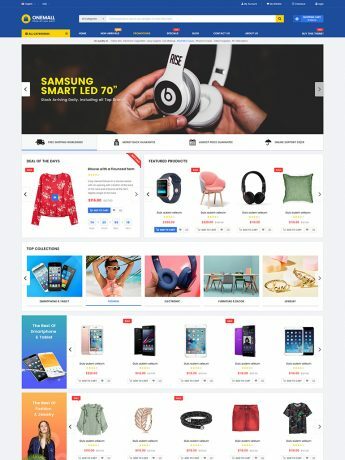 With our powerful mega menu, you can create a menu with up to 6 columns to display categories and products with description, price, image, video, effects? 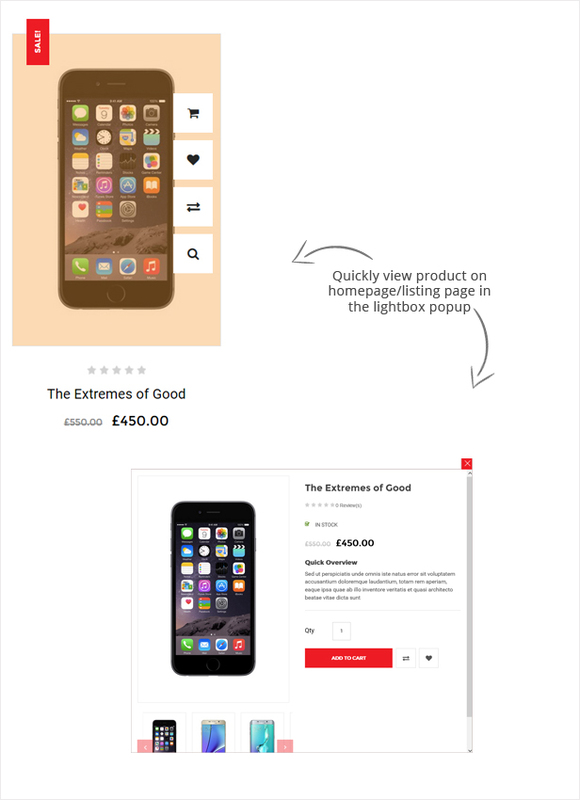 or even add links to any page, static blocks with promotion banners and modules. 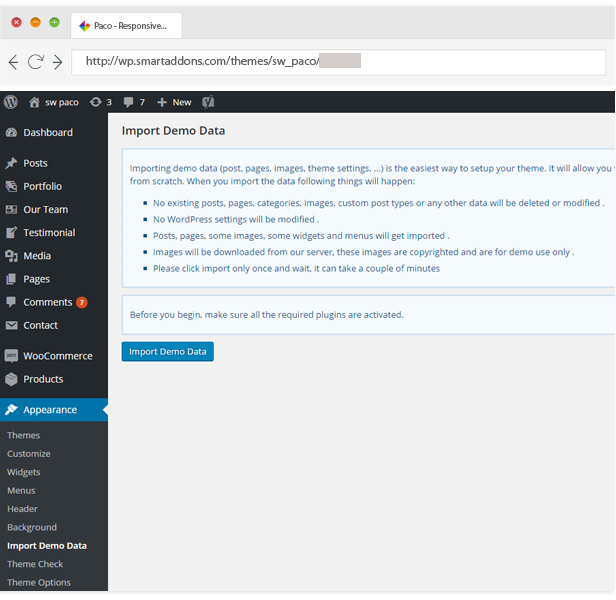 Quickly import the sample data of pages, slider, mega menu, module, theme options and other settings with a single click. 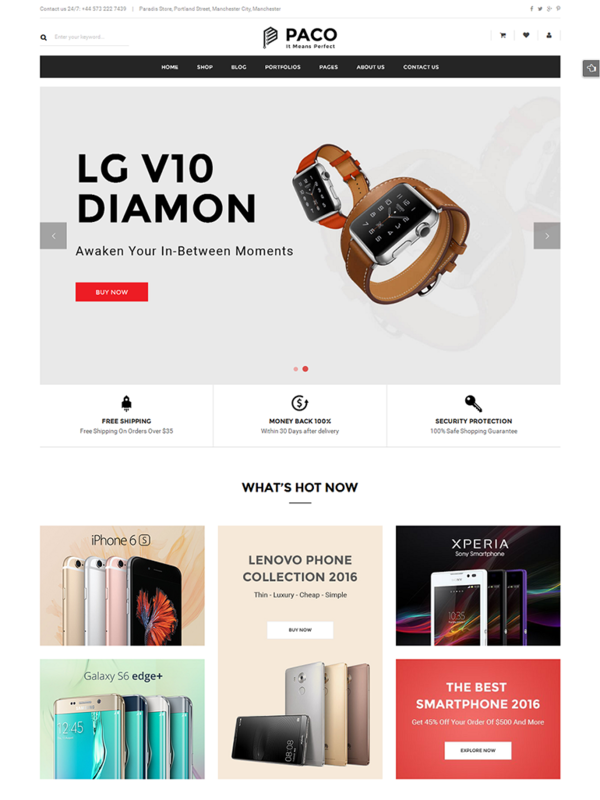 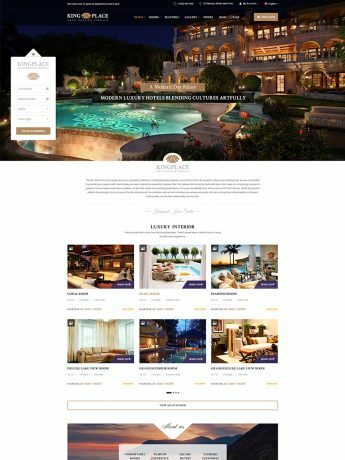 Get a site look like exactly our demo just in few minutes. 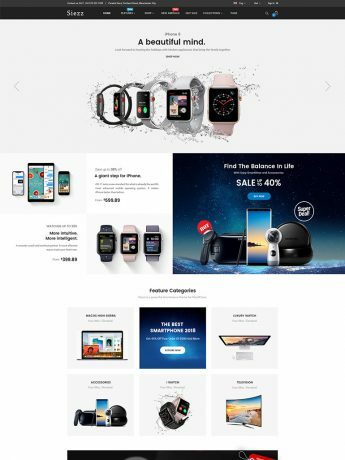 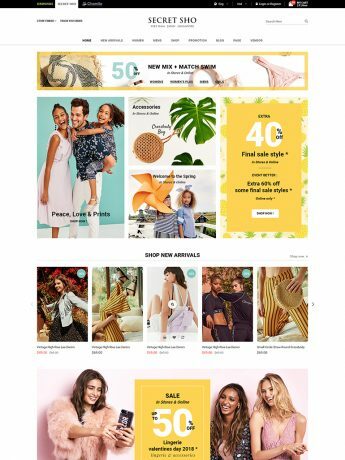 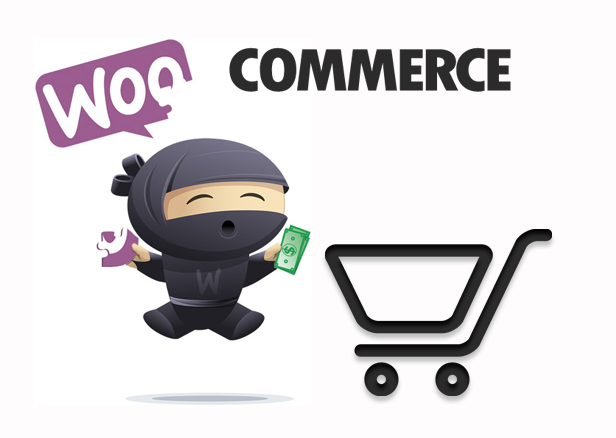 The theme uses the excellent WooCommerce plugin ( version 4.5.x) to transform your WordPress website into an eCommerce store. 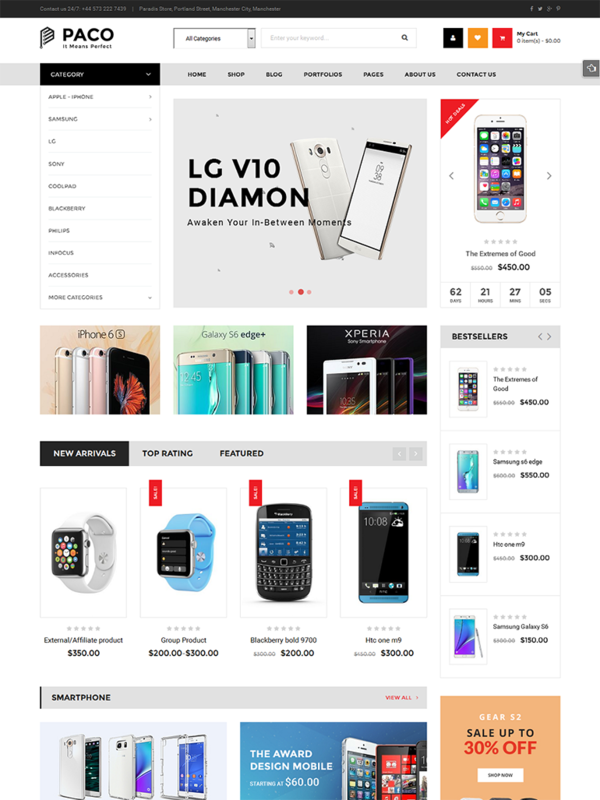 The most popular WordPress plugins are included in this shopping theme. 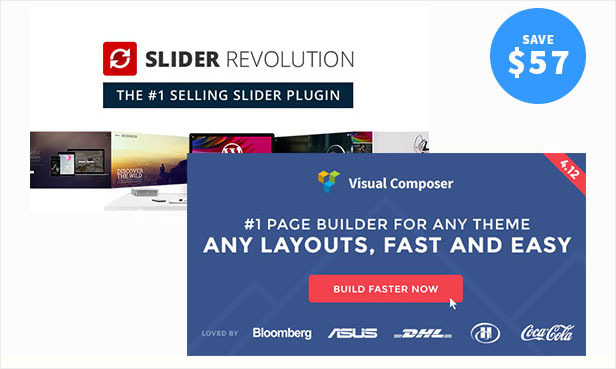 You will be saved $53 on the drag and drop frontend and backend page builder plugin – Visual Composer and Revolution Slider plugins that will save you tons of time working on the site content. 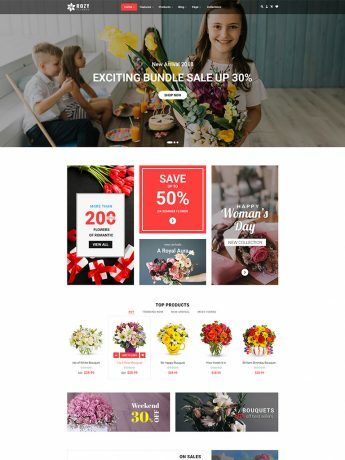 You enable to show sales and promotions, upcoming events as well as for other different purposes. 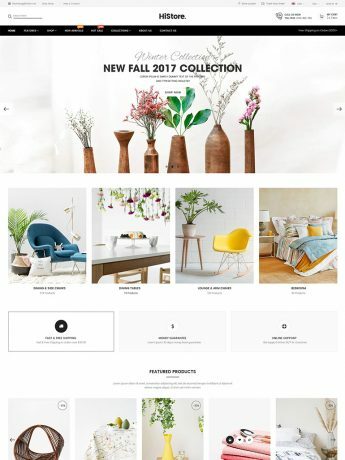 Multi HomePage Layouts for WordPress Site – So easy to use – Easy drap & drop elements between pages.